Ahoy all! 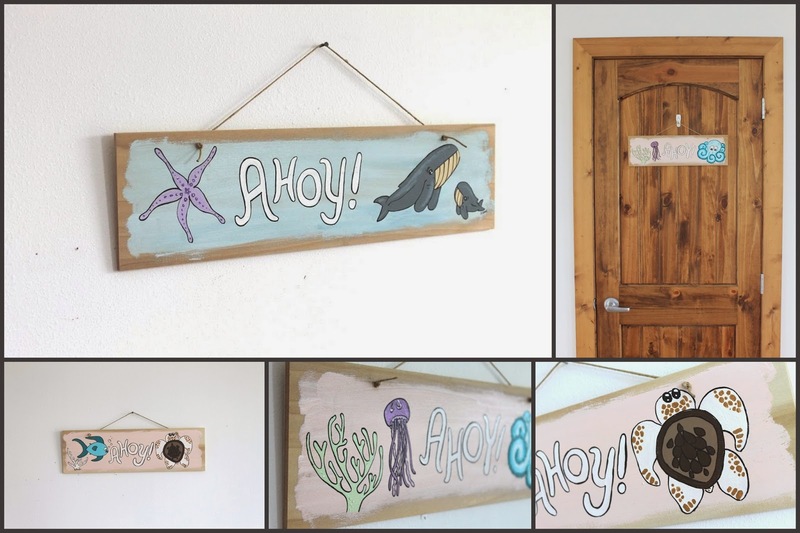 I just wanted to use up a blog post to show you all some more of my latest door/wall hangers. Each sign is an original painting on a piece of salvaged plywood. I've really been enjoying painting all of these ocean critters, especially the baby whales. Seriously, what's cuter than a baby ocean critter?